I'm excited to tell you about a brand new historical novella and offering you the chance to win a free print copy! You excited? Me too: stay with me for details! 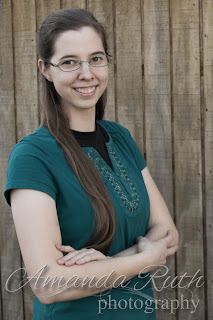 New historical fiction novella -- and series -- from the pen of Amanda Tero. Now orphaned, Marie is swept miles away from the only life she knew to be sheltered by unknown guardians. Caught in the challenges of a new life, she cannot prevent changes from happening, but she can keep the Bowles and their friends at arm's length. Or can she? 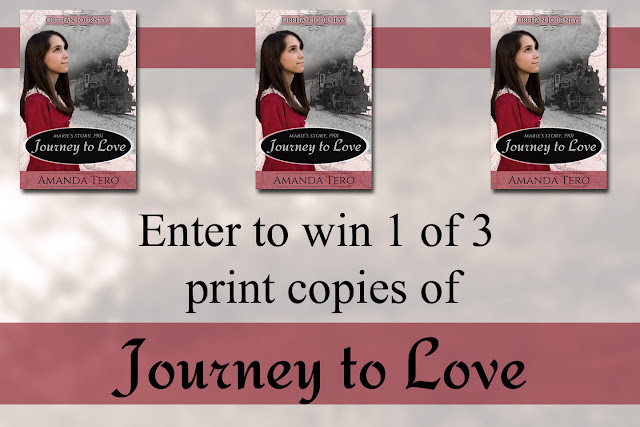 I was blessed to be a beta-reader for my dear friend, Amanda's, Journey To Love! This is the first novella in Amanda's new Orphan Journeys Series, which is a fictional novella series based off of the American Orphan Train saga, following orphans not only as they adjust to a new life, but also as they embark upon a spiritual journey. 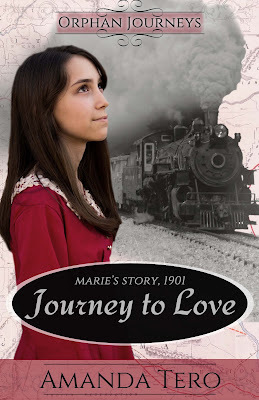 I love Journey To Love, it is so inspiring and shares so many truths about God and salvation. How sweet the Father's love for us!! I am so glad that this young lady is writing books to promote Jesus. Although I haven't read the book, I will be looking into it. We currently have three books if similar content based on the orphan train and am excited when wholesome books become available. I agree, Amy! Thank you for sharing those beautiful verses and for your encouragement! It's my pleasure, Amanda!! Congratulations again on the debut of "Journey To Love! Journey To Love is such a good book, I would highly recommend it to anyone who does not know God's true love. Miss Amanda is a GREAT writer!! I suggest her other short stories. Miss Amanda, God's blessings on your writing!